South Carolina-based outfit Twelve South is making a habit of churning out great products for Apple’s vast range of devices, and having just released the PlugBug World, an all-purpose charger that works anywhere on the planet, the company is back with a further addition to one of its most revered product lines – the BookBook. We recently got the chance to take a close look at the BookBook for iPhone 5, and were very impressed by the high quality leather material used in its manufacture. 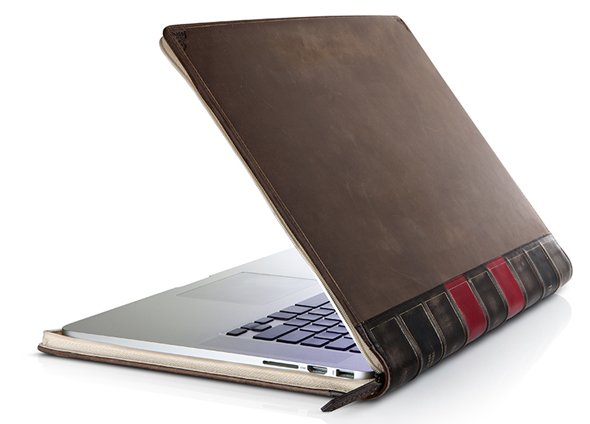 If you’re in the hunt for something similar for your 15-inch Retina MacBook Pro, Twelve South has just released the BookBook for the 15-inch MacBook Pro with Retina display. Like the machine itself, the new BookBook is considerably thinner and lighter than the preceding version designed to envelop the older model of the MacBook Pro. Although you could probably have fitted your Retina version in that old BookBook for MacBook Pro, it might have been loose inside; greatly reducing, if not completely nullifying the protection. But this new release ensures your treasured Apple notebook is snugly shielded from all the scrapes and scuffs which the beautiful aluminum shell seems to attract. 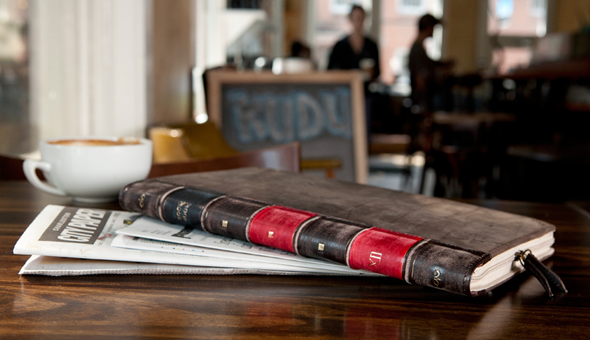 If you’re not familiar with the BookBook range, they not only encase your Apple devices in high quality leather reinforced ensuring maximum protection, but also make them appear as though they are old library books. This adds a nice vintage touch to proceedings, while also making you look more intellectual than your daily YouTubing habits would imply. Furthermore, an unspecified book is not exactly a hot item for thieves, and so by keeping your iPhone, iPad, or now, your Retina MacBook Pro inside a BookBook, you’ll be throwing it off the scent of a potential snatcher. The version specific to the 15-inch Retina MacBook Pro is fitted with two hardback covers, a padded spine and reinforced corners to ensure robust defense against mishaps, and is available to buy right now straight from the official Twelve South website. It costs $79.99, and as somebody who has used a number of Twelve South’s products of late, I cannot recommend them enough. 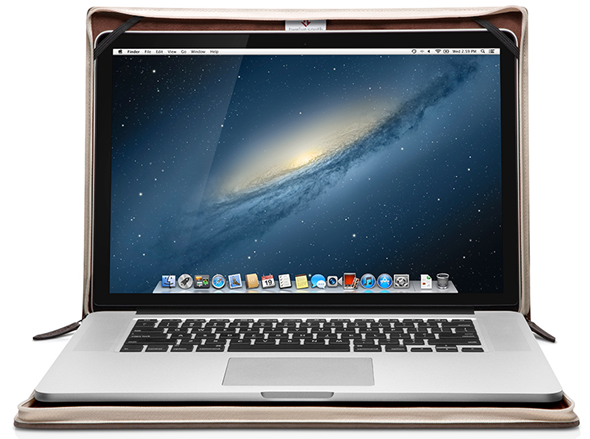 Your MacBook Pro with Retina display deserves the very best protection, and the BookBook, as ever, offers a great all-round package.